Facilitating change is a life-long endeavour. Change is often referred to as the only constant in life, sometimes we love it and sometimes we don't. Moving through change processes often requires the help of an outside point of view, especially when things get stuck, or worse - start to form harmful conflicts. Put a band-aid on it. There are a number of simple exercises we can work with to give you simple tools to apply to conflicts as and when they arise. Based on awareness and effective communication, these can help stop slight abrasions turning nasty. A must for anyone wanting to keep on top of things in their business or home life. Try a holistic health program. Simple conventional ideas are ineffective when the underlying causes are not dealt with. Sometimes it is necessary to spend more time considering the factors and influences at play and working with them creatively in order to support a return to health. By exploring alternative ways of dealing with conflict, we can help you move on with extra bounce! A blood transfusion. This has drastic and often undesireable consequences, these include: greater risks, longer recover times and loss of activity. Unfortunately, there are times when old blood has to go and something entirely new has to be brought in. We can look at ways to facilitate this process to make it work best for everyone involved. The tools used for facilitating change come from a wide variety of practices that seek to put those involved at the heart of the outcome. They are also grounded in concepts of deep democracy - seeing conflicts and interactions as opportunities to enrich the well-being of all involved, not simply settling for a win/lose outcome. Please do not hesitate to contact me for more information. 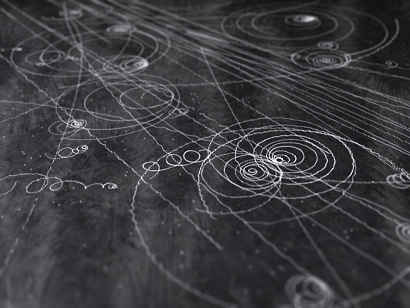 A particle collision as seen by quantum physicists.